Paul Mori, Author at International Examiner recommends, If you have never entered the world of manga or have dismissed it for whatever reason, two books intend to change and widen the perception of manga, not only for the uninitiated, but also for the ardent fans, and do so by very different means. Hokusai X Manga: Japanese Pop Culture Since 1600 makes the case that many older cultural and historical forces shaped the evolution of manga into the popular form that is known today. 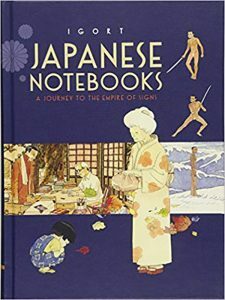 It seeks to show that such esteemed artists such as Utamaro, Hiroshige, Kuniyoshi and Hokusai provided the pathway for manga’s development, by laying the groundwork for creating a narrative style and a visual language based on certain themes. Although it may not seem so today, but in their own time, these artists were largely creating art for the consumption of the common man, and not for the elite. The depictions of worlds beyond, inhabited by ghosts, monsters and exotic places have parallels in the manga that became popular in the 20th century. It should not surprise anyone who knows Japanese horror films, that the grotesquely disfigured ghosts and monsters in those artists’ paintings were predecessors of what was to follow. Igort writes about quirky topics of Japanese history and culture that interest him, defying convention while adding a personal stamp on everything he does. Although the abrupt shifts to historical topics and sidebars may seem initially jarring, readers will join the journey of discovery and settle in with the book’s rhythm. Though not explicit, some of the topics are of an extreme adult sexual nature, so Japanese Notebooks is clearly not for children. In 1903, Marie Sklodowska Curie and her husband, Pierre, won the Nobel Prize in Physics for joint research on radiation. (Radiation had been identified as a phenomenon by Professor Henri Becquerel. ), according to Ian Harvey, Author at The Vintage News. What is perhaps even more remarkable is that Marie Curie was not only the first woman awarded a Nobel Prize but also the first person to win the award twice, and she came from a country where women were not allowed to attend University. Marie was finally considered to be one of the top scientists in the world and hobnobbed with people like Albert Einstein, Hendrik Lorentz, and Max Planck. The Curies had two daughters, Irène and Ève. Irène and her husband Frédéric were the recipients of the 1935 Nobel Peace Prize in Chemistry for continuing Irène’s parents’ work in radioactivity. Ève became a concert pianist, a war correspondent, was active with UNICEF and became a published author who wrote of her parents and their work. The constant exposure to radiation took its toll on the health of the Curies. Marie died at the age of 66, in 1934, from aplastic anemia, a disease of the bone marrow most likely contracted during her work. Tom Gerencer, career expert at Zety.com, an ASJA journalist, and regular contributor to Boys’ Life and Scouting magazines explores, This author stumbled on a new trick that allowed him to finish more business books (and it’s not listening to audiobooks). We all need to read more. Warren Buffett spends 80% of his day reading. Bill Gates reads a book a week. 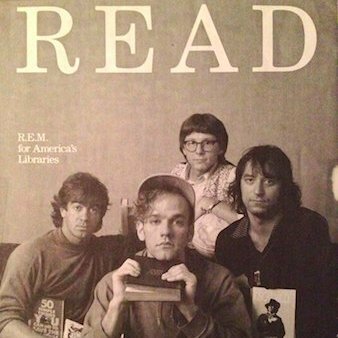 Reading is the only way to stand on the shoulders of the giants all around us. But 1,000 books get published every day. As a burned-out workforce, it’s challenging to find the time to read one book a week. As a business owner, I used to read voraciously. But with two young children and ballooning work demands, finding the time to read has become more and more difficult. For years now I’ve read a half a page a night while nodding off to sleep. 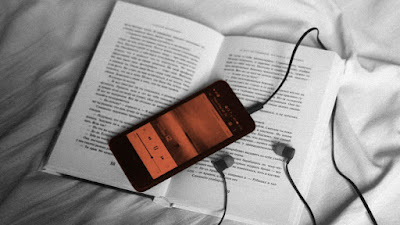 I found audiobooks helpful, but there are problems. They cost more. You can do Audible, but then you have to read on their schedule or lose credits. Plus, once you buy one, you’re stuck listening and can’t switch to reading. Also, not all books come out on audio. Finally, the voice talent isn’t always “on it,” and for me, that disrupts the reading experience. Since I learned this trick, I’ve been devouring more business books and articles than I can count. I’ve learned a ton, and it’s effortless and a lot of fun. I canceled my Audible subscription too, and I’m back to loving reading and learning like I’m in a master’s program, without spending any extra time. One significant insight I picked up already got me saving 4% of my income. From another, I discovered that successful people don’t use to-do lists. Instead, they budget time like money, scheduling the steps to reach their goals. I tried it and “found” 15 additional hours a week. Bookseller One Grand Books has asked celebrities to name the ten titles they’d take to a desert island, and they’ve shared the results with Vulture. Below is actor Michael Shannon’s list. Shannon is currently starring in Terrence McNally’s Frankie and Johnny in the Clair de Lune on Broadway. 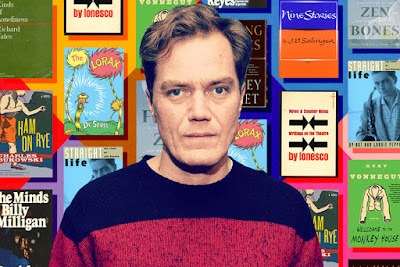 Check out Michael Shannon's ten favorite books. Michael Shannon's ten favorite books include the works of Charles Bukowski, Dr. Seuss, J.D. Salinger, Kurt Vonnegut, Richard Yates, and more. Suggested reading from critics and editors at The New York Times by John Williams, Daily Books Editor and Staff Writer. Troubling history lives on, vividly and urgently, in this week’s recommended books. Julián Herbert’s latest book revisits, with “shame and fury,” the massacre of 300 Chinese immigrants in the city of Torreón during the Mexican Revolution. Mark Bowden follows detectives as they crack open a 40-year-old cold case involving the disappearance of two sisters. “The Lions’ Den” examines how thinkers on the left have grappled with the idea and the reality of Israel. And the starkly titled “Hate” is about the history — and the present — of anti-Semitism in France. We also look at one of the year’s most highly anticipated novels, “Normal People,” Sally Rooney’s follow-up to “Conversations With Friends,” and at two debut novels: one comic and one terrifying. Welcome to Hitting the Books. With less than one in five Americans reading just for fun these days, we've done the hard work for you by scouring the internet for the most interesting, thought provoking books on science and technology we can find and delivering an easily digestible nugget of their stories. It's not just for the hard sciences anymore! suggests Andrew Tarantola, Senior Editor at Engadget. Calculus has provided humanity a window into the inner workings of the world around us since the fateful day Isaac Newton got conked by a falling apple. 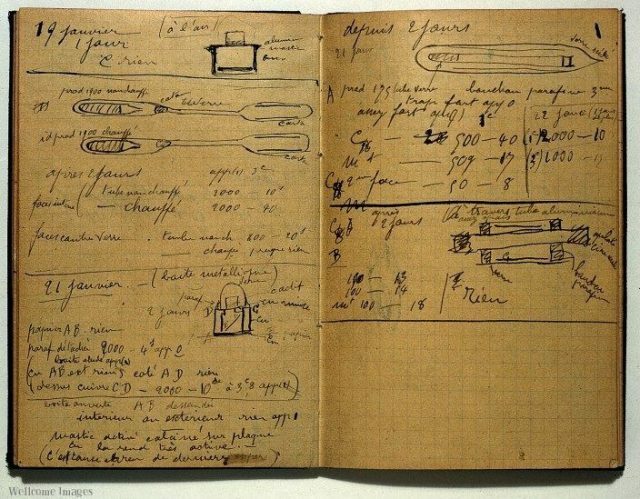 But we've only ever really applied these mathematical tools to our "hard" sciences, like physics or chemistry. Heck, we probably wouldn't have discovered Neptune if not for calculus. That's changed in recent years as the studies of between the discipline and big data, computer learning, AI, and quantum physics have increasingly overlapped. 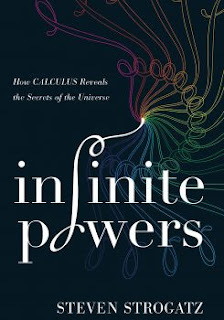 In the excerpt from Infinite Powers: How Calculus Reveals the Secrets of the Universe below, author Steven Strogatz examines a novel application of calculus to the "soft" science of biology. Previously used to model how HIV spreads and overwhelms infected immune systems, calculus can now help researchers better understand the process by which nature manages to twist, fold and condense an entire double-helix strand of DNA into a package small enough to fit inside the nucleus of a cell. In the early 1970s an American mathematician named Brock Fuller gave the first mathematical description of this three-dimensional contortion of DNA. He invented a quantity that he dubbed the writhing number of DNA. He derived formulas for it using integrals and derivatives and proved certain theorems about the writhing number that formalized the conservation law for twists and coils. The study of the geometry and topology of DNA has been a thriving industry ever since. 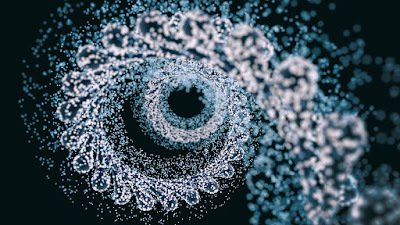 Mathematicians have used knot theory and tangle calculus to elucidate the mechanisms of certain enzymes that can twist DNA or cut it or introduce knots and links into it. These enzymes alter the topology of DNA and hence are known as topoisomerases. They can break strands of DNA and reseal them, and they are essential for cells to divide and grow. They have proved to be effective targets for cancer-chemotherapy drugs. The mechanism of action is not completely clear, but it is thought that by blocking the action of topoisomerases, the drugs (known as topoisomerase inhibitors) can selectively damage the DNA of cancer cells, which causes them to commit cellular suicide. Good news for the patient, bad news for the tumor. This story originally appeared as Online courses are cost effective but detrimental to learning, researchers find on Pacific Standard. For more and more of today's university students, screen time is competing with seat time, says James McWilliams, professor at Texas State University. According to the most recent statistics (from 2016–17), 33 percent of college students take at least one online class, 17.6 percent mix online and in-class coursework, and 15.4 percent exclusively take online classes. Each statistic represents an increase over the year prior, a trend that has continued since 2011. Advocates of online education are quick to celebrate this increase, but the rise of screen time in higher education may harbor some detrimental consequences. Online courses have obvious benefits: They cut costs and are popular with working students seeking scheduling flexibility. At a number of campuses they also increase educational access. The Orlando Sentinel reports, for example, that the University of Central Florida, a school with an extensive online catalog, can serve 66,000 students due to that catalog, as opposed to the 40,000 its physical campus can accommodate. Thomas Cavanagh, UCF vice provost for digital learning, explains that demand for online offerings is at an ever-increasing level. "Students," he says, "are clearly voting with their behaviors." Furthering the bad news for online education is the fact that the drawbacks of online coursework disproportionately harm lower-income students and community colleges. A University of California–Davis study found that community college students were 11 percent less likely to pass a class if they took it online, rather than in a face-to-face setting. Shanna Jaggers, an assistant director of the Community College Research Center at Columbia University's Teachers College, has indicated that community colleges promote online classes for enrollment rather than educational purposes. "They need enrollments," she says, "and this [online class work] is one way to pull enrollments up." 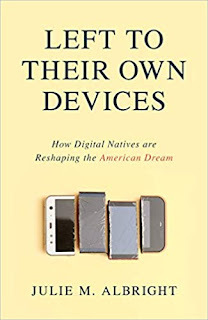 In her new book, Dr. Julie Albright, currently a lecturer in the departments of Applied Psychology and Systems Architecting and Engineering at USC, explores the impact of a digital society on our relationships and behaviors. 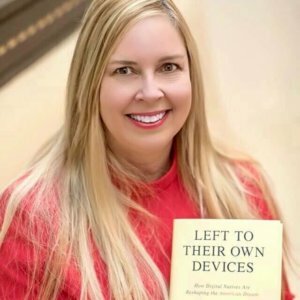 A leading researcher on the social impacts of technology, Dr. Julie Albright, lecturer in Systems Architecting and Engineering at USC Viterbi School of Engineering, believes we’ve come to a point of imbalance. After centuries of connecting with each other face-to-face and with nature, we’ve come to rely on digital connections in every aspect of our lives. In just a few years, we’ve completely moved away from these offline relationships, creating a new paradigm that we must grapple with to rebalance ourselves and restabilize our society. What is the problem you’re trying to solve? How do we address these unintended consequences? The challenge is, how can we create new anchoring points, particularly for young digital natives unhooked from the things that were keeping them stabilized—things like church or, again, marriages. So, how do we create these? One opportunity is the workplace. Maybe that’s the place that has to somehow create community or support in a new way, even though that’s not its traditional role or job. Maggie Tillman, Contributing editor summarizes, Snapchat’s camera has officially morphed into an augmented reality platform - and it has so much potential for both Snap and its users. If you're thinking, "Wait, didn't Snapchat already do AR stuff?" You're right; it did. Snapchat's lenses can change your face into a puking rainbow, or they can overlay your Bitmoji avatar onto your surroundings. But, going forward, the app's camera will be able to do a lot more than that. Snap is unveiling a new initiative called Scan, and it's expected to roll out to all users soon. It's an augmented reality platform that allows companies to create new augmented reality experiences that utilise Snapchat’s camera. Upon launch, Scan will feature a partnership with Photomath, helping users solve math problems just by pointing their camera at the problem. This isn’t exactly new territory for Snapchat. The app’s camera could already use Shazam to identify songs or work with Amazon to help you purchase things you’ve found in the world. Scan represents an ambitious step forward in that kind of thinking. It’s also another avenue Snap is exploring to make its app generate revenue. It's throwing everything at the wall, at this point. Students need more math to compete in 21st century. Is society cheating our students by not providing the education needed for them to compete in the 21st century? Most people agree that our children are falling behind the rest of the world, especially in the STEM subject areas. How can anyone disagree with adding a fourth year of math? 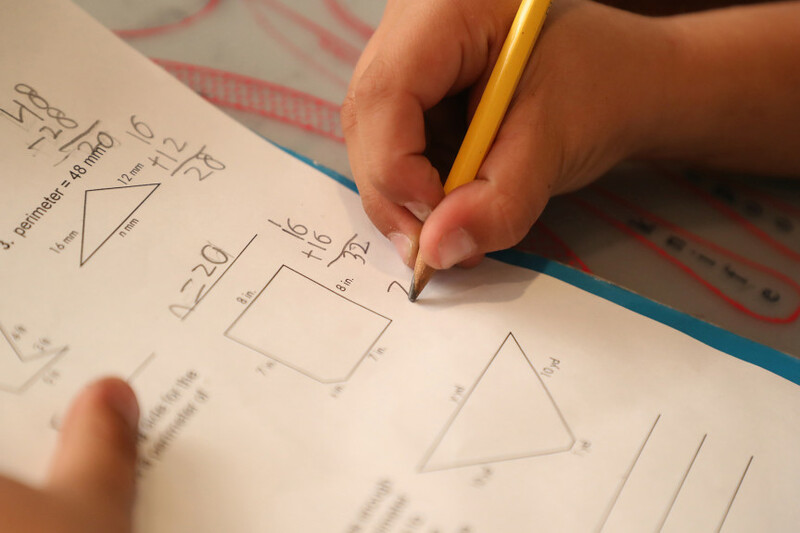 We need more math education, not less. The article notes: “The extra year-long course could be the traditional calculus or more practical alternatives such as statistics, computer science or personal finance, administrators say.” We need calculus, not personal finance.